VAGB have negotiated a special purchase deal with Beta Marine for their excellent BZ482 Engine (Lots of DISCOUNT !!). 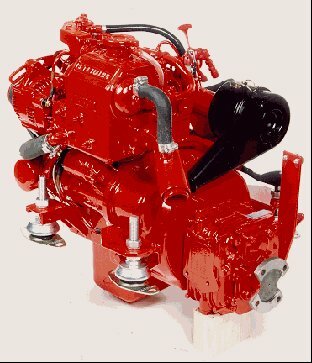 This is an ideal replacement for both the Albin Petrol 021/022 and the Volvo MD6A/B/7A Diesel engines. The engine comes complete with the Technodrive TMC Gearbox, flexible coupling, special damped feet, and control panel with wiring loom. I have included a brief specification below but the club holds Brochures for this engine. You should not have any problems on the installation but please contact us if you have any queries. Shafts, props and various extras are available as is a special "All-IN" Package - Ready to install. With over a hundred installations of this engine into the Vega during the last ten years we have acquired the expertise needed to answer your questions, both technical and practical. Instructions and photos are available for both the Albin 021/022 and MD6/7 replacement system. Delivery is available to anywhere in the world. Customers include Vega owners in the USA, Israel, Scandinavia, Holland and the UK. This replacement enables far better control of your Vega as it uses a conventional gearbox with instant power available in either forward or reverse. You have the luxury of the prop remaining stationary whilst in neutral thus negating the very real problem of rope wrap whilst mooring etc. 13.5HP Engine with Heat Exchanger, Header Tank, Water Cooled Exhaust Manifold, Fresh & Sea Water Pumps, Mechanical Fuel Lift Pump, Fuel & Oil Filters, 12v Starter, 40amp Alternator, Shutdown Solenoid, Start Panel, Warning Lights & Buzzer, 3m of Cable Loom with Plug and Socket, Hurth or TMC Gearbox, Flexible Mounts, Flexible Coupling, Morse End Fittings, Accessible Sump, Sump Drain Pump, Naturally Aspirated, Heater Plugs for Cold Starting, Cast Iron Head & Block, High Inertia Flywheel, Gear Driven Camshaft & Sea Water Pump, Integral Heat Exchanger with Cupro-Nickel Tube Stack with Phosphor-Bronze End Caps and Sacrificial Anode, Multi Cylinder for Smooth Running.